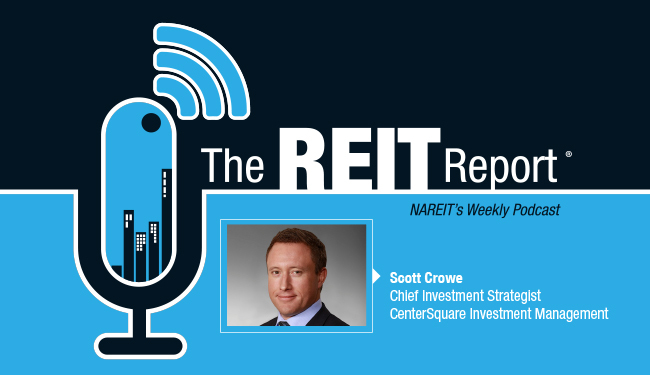 In the latest episode of The REIT Report: NAREIT's Weekly Podcast, CenterSquare Chief Investment Strategist Scott Crowe discussed the upcoming vote on the United Kingdom’s possible withdrawal from the European Union, known as the Brexit, and the implications of the event for the U.K. property market and real estate markets in Continental Europe. Crowe noted that recent polling data show growing public sentiment in the U.K. in favor of leaving the E.U. As uncertainty surrounding the result of the June 23 referendum has grown, the spillover effects into U.K. property markets have been amplified, according to Crowe. Essentially, real estate players "have gone on hold" as they await the vote, he said. "What we've seen is a fairly dramatic decrease in new leases being signed," Crowe said. "Investment activity has really fallen off with respect to investing in new buildings." In the listed property market, the relative stability of Continental Europe has enhanced the attractiveness of companies in that region, according to Crowe. Even so, he observed that the unrest in England might spur countries such as Ireland and Spain to explore leaving the E.U. as well. "That would become a bigger structural problem for the whole E.U. project," he said. Crowe speculated that "a lot" of the uncertainty related to the vote has been priced into the market already. He added that the discounts currently reflected in the stock prices of U.K. property companies might be creating buying opportunities.